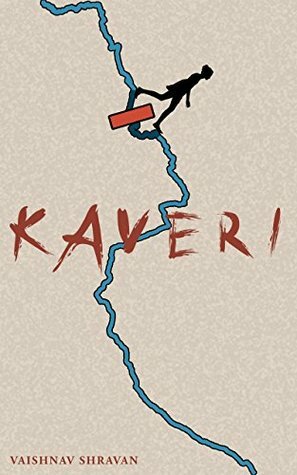 Kaveri by Vaishnav Shravan is a short story of a girl. The plot based on a village in Karnataka where Kaveri lives with her family. She is eighteen years old. Her mother Karuli is a homemaker. Her father Aadeshwar is a painter. They are very poor and struggle to fulfill their day to day needs. Kaveri is an intelligent and bright kid. She wants to learn and help others. But her mother Karuli never allowed her to do any of this things not because of their financial situation but because of Padmja, their neighbor. Padmja is a very mean woman who manipulates Karuli love towards her daughter. In Padmja's influence, Kaveri never goes to school. Even Karuli never allowed her daughter to play outside. There is another character in this story Sahasra. She is the only teacher in their village who homeschool Kaveri. With the help of Sahasra Kaveri completed her schooling. She is generous and kind. But things changed fastly now Kaveri wants to go college and Sahasra leaving the village with her family. "We are like a dried leaf hanging on a branch of a tree. When you snap and fall from the tree, you should glide where you want to go or the wind would blow you somewhere else." Kaveri's father took a very hard decision. He fought for her so that Kaveri got a chance to change her destiny. He understands that he must not let his wife's love hinder Kaveri's dreams. She sends Kaveri to Tamilnadu with Sahasra for further studies. Karuli was very upset. But Kaveri and her father were determined. In Tamilnadu, Kaveri lives with Sahasra and her husband Prabhav. They don't have any child. So they treat Kaveri as their own child. For Kaveri, it's a very different experience. She never saw things which she saw now. She only read all of this in books. She opts for Charity Management course. For the first time in her life, she makes friends. The seed of charity was sown deep into her mind when she read the biography of Mother Teressa. She understood the situation of poor people. But her mother creates a cage around her. It makes her more desperate to go out and explore her passion to help people. She always wanted a place where she can reach her full potential and create her own destiny. In NGO she finds that place. By helping others she can live her dreams. Time has passed. Kaveri achieves all she wants. She has a job in the NGO. She makes her parents proud. Karuli's mentality changed with time. I really like that Kaveri's character grows over time. Not only Kaveri but Sahasra also get what she always wanted. This story touches my heart. The language is simple. The narration is perfect. There is not even a single moment when I confused or bored while reading. It's a quick read. The author describes everything very well. Every emotion feels natural. I really like the human aspect of this story. Every person has problems but few can focus on a solution instead of a problem. It's a heart whelming story. I recommend it to all. Kaveri, a girl who believes in destiny, is confined to her house by her mother's love, which is being manipulated by an uninvited politician, their neighbor, Padmaja. She's homeschooled by her guru, Sahasra, who induces the idea of empathy and charity to Kaveri. Kaveri discovers her destiny. Hindered by her mother's emotions, she has no other choice but to wait for her time to come. Will, she crosses her hindrance and make her dreams come true? Vaishnav Shravan is an artist. He is a third-year student of Visual Communication at SRM University, Chennai. He loves reading, watching films and fine arts. He started writing because he believes that art influences people and literature is an excellent form for it. He has published two books - Evolution of Privacy and Kaveri.